Better Photography is strongly committed to your right to privacy and to keeping your personal and financial information secure. To earn your trust and confidence in our commitment, we are fully disclosing our privacy practices. We encourage you to read our privacy statement to understand what types of personally identifiable information we collect and how we use this information. Better Photography only collects the necessary personally identifiable information in order to respond to your requests for our customized products and services. Personally identifiable information includes, but is not limited to, first and last name, physical address, e-mail address, phone number, birth date, and any other information that itself identifies or when tied to the above information, may identify you as a specific individual. This website does not collect personally identifiable information about you except when you specifically and knowingly provide it. 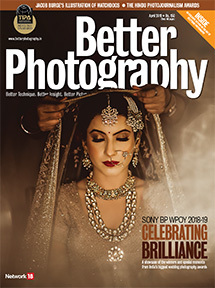 Better Photography and its service partners use your personally identifiable information to operate the sites and services and to inform you of new features, services, and products from Better Photography and its affiliates. Better Photography may also carefully select other companies to send you information about their products or services which are related to the site’s service but are not necessary to its operation (an “Extended Service”). If Better Photography intends to use personally identifiable information for an Extended Service, the Better Photography site will provide you with the ability and requisite instructions to decline this service. You may also stop the delivery of informational or promotional mail from Better Photography by following the instructions on the mail. Better Photography may disclose personally identifiable information if required to do so by law or in the good-faith belief that such action is necessary to (i) conform to the edicts of the law or comply with legal process served on the site or its owners; (ii) protect and defend the rights or property of the site-owners, the site or the users of Better Photography, and (iii) act under exigent circumstances to protect the personal safety of users of Better Photography, the site, its owners, or the public. 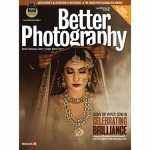 The Better Photography site contains links to other websites. Better Photography is not responsible for the privacy practices or the content of such websites. If at any time you believe that Better Photography or its users/members have not adhered to these principles, please notify Better Photography by e-mail at privacy@betterphotography.in and we will use all commercially reasonable efforts to promptly determine and correct the problem.